Retailers, agri-food manufacturers, foodservice professionals... Paris will be the food capital of the world on 21–25 October 2018. This is a unique opportunity to share your views with other agri-food players, develop new markets and raise your global profile. 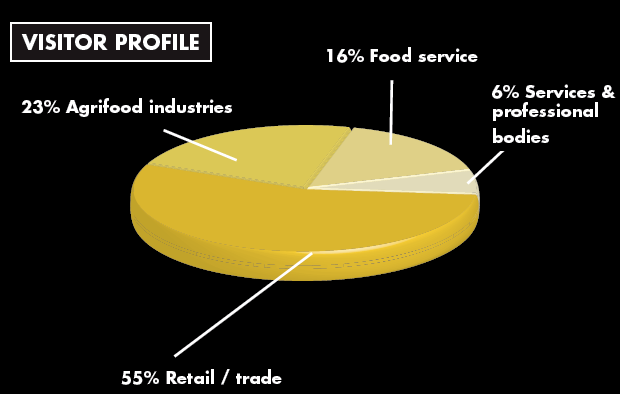 Importers/exporters, wholesalers, traders/dealers, central purchasing groups, medium- and large-scale retail stores, hard discount stores, retail trade, gourmet food stores, wine merchants – professional distributors represent more than half of all SIAL visitors. Don’t miss this opportunity to formalise contracts, get your products listed and book new orders. Some 82% of SIAL visitors are involved in the industry’s purchasing process. Some 155,700 visitor entries were recorded for the 2016 exhibition, 70% of whom were international visitors from 194 countries. “Major brands visit to find inspiration and products”. Visitor countries are headed by France, followed by Belgium, Italy, Spain and Great Britain. 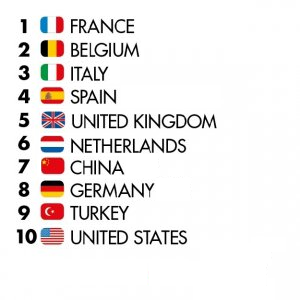 The USA ranks tenth and China seven. Brazil is in twelfth position and Thailand are now in the Top 15. A statistical breakdown reveals the predominance of visitors from the European Union (41%, excluding France). Asia and Oceania represent 8% of the visitor contingent, as Africa, ranking second in numbers after Europe. Amercias comes next, with 7%, and The Middle East complete the picture, with 6% of the total number of visitors. 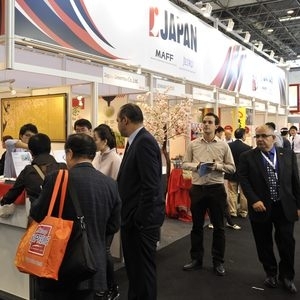 The show is the most effective way of making face-to-face contacts and doing business. 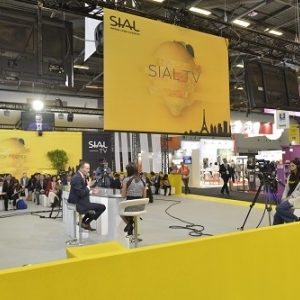 Find inspiration: SIAL Innovation identifies the food trends, World Tour reveals consumption trends in 28 countries, La Cuisine stages culinary demonstrations, and more.